We think that no one should have to choose between paying the rent or feeding their family. Every Thursday, families come to the Center of Hope in the hopes of collecting food assistance from our Community Pantry. 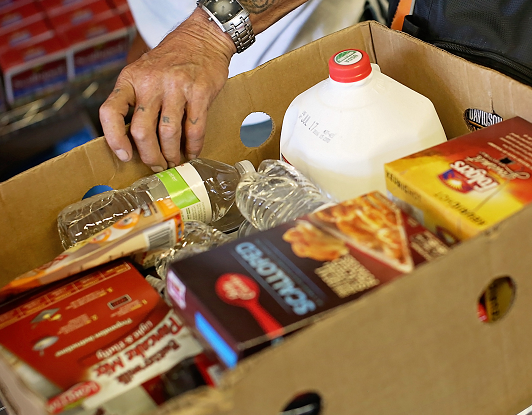 Help keep our shelves stocked by making a donation or hosting a food drive. Together we can do the most good! Have questions? Use the form below to contact our volunteer coordinator who will help set your drive up for success!